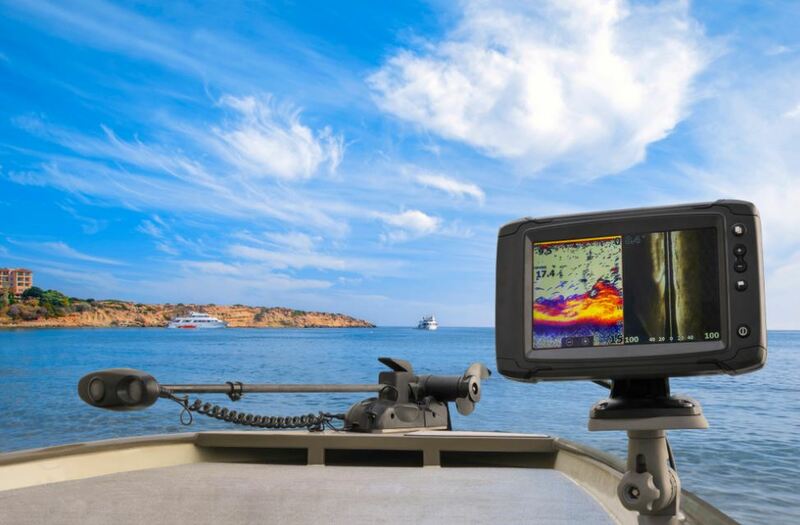 What Should You Know Before Buying a Fish Finder? 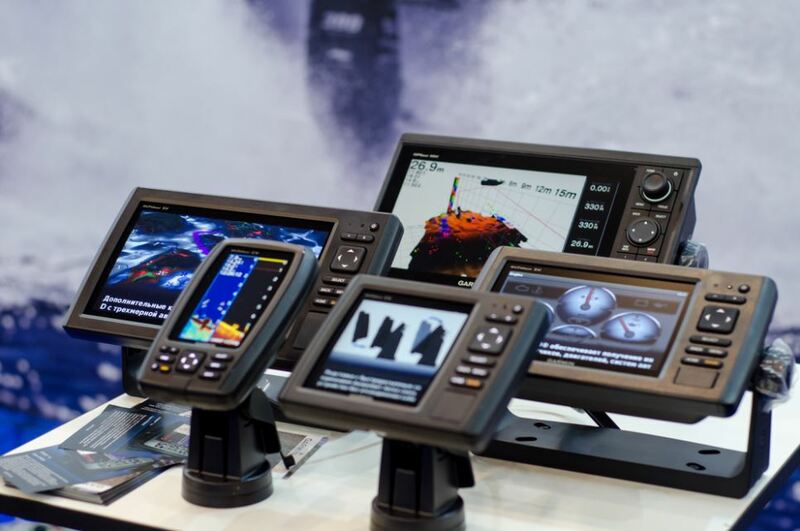 Home » Fishing Tips » What Should You Know Before Buying a Fish Finder? Sonars can come in single, double or multiple frequencies and in the following quantities: 50, 83, 192 or 200 kHz. With low frequencies of 50 or 83 kHz, you can fish more conveniently in deep water. While those with high frequencies of 192 or 200 kHz are perfect for shallow waters. So, when choosing between the market options, it is essential to take into account in what type of waters you will fish. We recommend looking for a sensor with high power, measured in watts, as this results in a shorter response time and a better ability to see at great depths. However, they may be less affordable, so if you plan to fish only in shallow water, you can look for a model with lower power. As a practical guide, remember that 50 kHz frequency, 100 watts of power will give readings of 120 m deep, while 240 kHz, 100 watts provide about 30 meters. If the sonar technology and its frequencies are perfect, but the screen resolution is very low, you will have terrible results. Look for a resolution of at least 240 x 160 pixels to avoid very blurry or pixilated images and remember that, the higher the resolution, the better the quality of the results. Likewise, it is recommended that the screen is also large to accompany good resolution. The old screens came in black and white and, although they have become obsolete because of new technologies, they can still be a good option as a replacement screen or if you are simply looking for the least expensive to control your budget. On the contrary, the new color and LCD screens are much more reliable, they can be read easily even in bright sunlight, and it is easier to understand the information in them. The transducer is that essential component that emits the waves and receives them from reading the data and telling you where the fish or marine objects are. Receiving the reflected waves under water, the transducer sends them to the main unit and from there to the screen for your reading. A good fact that we can give you is that, in general, factory transducers are not usually so good, so it is always an excellent idea to invest in one of higher quality after having the sonar. Sure, as long as it’s compatible with your crawler. This is simply how wide is the kind of network that creates the sound wave that the sonar emits from the boat to touch the marine surface. The deeper the water, the cone will be wider but lose sensitivity. Generally, sensors usually generate cones of 15 to 20 degrees, although there are other specialized models that can generate only 9 degrees or even 60. Professional fishermen often use various cone equipment. The best trackers can come with GPS sensors, so you have the best possible navigation tool in your tracker. This also saves you money and effort into buying an additional GPS device. In addition to that, with a built-in geolocator, you can save places where you found much fish or where there is a dangerous obstacle and see it again later. We already told you about the types of sonar, those that scan down and those that do it to the sides. Well, recently we have been developing models that involve both types of sonar so that you have the advantages that both provide. However, for the moment it is being more convenient to use two different sonar with each technology. It is not always a renowned brand that produces the best equipment. Sometimes there are very new and little-known companies that sell high-quality sonars for sale that beat by far those of the big houses. So, when you buy one, ask yourself how much time that company has if its users have good opinions of it if it offers guarantees, specialized technical service or even if they have equipment replacement programs when new versions come out. Every day we see smaller trackers that end up being really useful, like laptops, which are ideal to carry in kayaks or small boats. In fact, they are so versatile and convenient that you just have to place the transducer in the water and see the results on the screen of your Android or iOS phone, your tablet or the device’s screen. Of course, use them only in shallow water as in ponds or small lakes and use traditional models in larger areas. The design should not be overlooked since the location of the buttons, and the shape of the equipment can be of vital importance. This is because you have to know where it can be placed in your boat and how easy it is to operate it. Also, you have to look for a model with high durability, resistant to water and weather. How to Zero a Rifle Scope Step by Step Are your shots not going where you aim at?